On August 19, 1952, when I was seven years old, my father died as the result of Post Traumatic Stress Disorder. 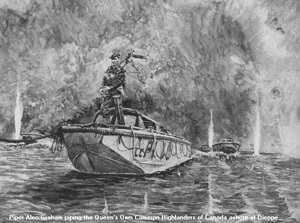 He died on the 10th anniversary of the Word War II invasion of Dieppe, France, when 60% of the 6,000 men who made it ashore were either killed, wounded or captured. Our family believed that Frank Sr. was among the few lucky soldiers who escaped without a physical scratch. We did not realize that he was mortally wounded at an emotional level, not until PTSD caught up with him 10 years later. As if PDST were contagious, by 1969 I was suffering from most of the symptoms listed above, hooked on tranquilizers to cope with my “nervous stomach”. So at age 25, after discovering Edmund Jacobsen’s “You Must Relax”, I began my own self-healing journey. Over the next some 40 years, I explored a wide variety of relaxation techniques, such as progressive relaxation, biofeedback, autogenic training, yoga, meditation, mindfulness, self-hypnosis, etc. I eventually became a yoga instructor and psychotherapist, working mostly with clients suffering addictions, mood/anxiety disorders. It was the tenth anniversary of the allied forces catastrophic raid of German fortifications at Dieppe, France, August 19, 1942. 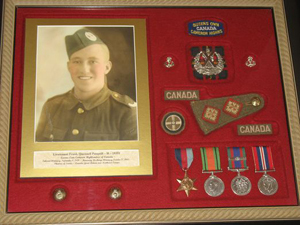 Frank Pasquill Sr. was being visited in a Kenora, Ontario hospital by some of his Canadian Legion friends, who had served with him in World War II. Having refused medical attention for a perforated ulcer, until stomach acid had eaten away most of his pancreas, Frank Sr. was in post-operative shock. War memories, mixed with pain and drugs, brought on a flashback, during which Frank thought his buddies were German soldiers. He overpowered them, and leaped from a second story window. Amazingly he survived the fall, just as he had done exactly ten years earlier. This time, however, running in the dark on his way home, he stumbled into the Lake of the Woods, and drowned at the age of thirty two. Like many veterans, until his death on August 19,1952 Frank Sr. avoided talking about the war, and dealt with his intrusive memories by self-medicating with alcohol. After becoming a psychotherapist specializing in anxiety disorders, Frank Jr. found his greatest challenge was simply to get trauma survivors into his office. Then, most his time was spent demonstrating how the they could re-tune their own emotional systems. After learning the protocol, most of his clients needed very little further assistance, except for help in exploring different aspects of their trauma. Before training as a psychotherapist, Frank Pasquill Jr. spent thirty years as an organization development consultant, teaching interpersonal skills like coaching, team building, resolving conflict, negotiating, and problem solving. After five years at the Gestalt Institute of Toronto, he enrolled in the Advanced Extern Program of the Hincks-Dellcrest Centre, dually certified by Brief Therapy Training Centres – International and University of Toronto’s Faculty of Social Work. After graduation in 2005, he became a general member of the Ontario Association of Consultants, Counsellors, Psychometrists and Psychotherapists. 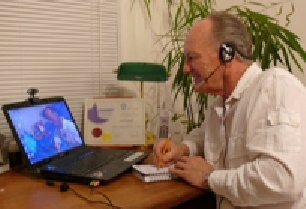 He followed the OACCPP Code of Ethics for psychotherapists, while in private practice at Leaside Therapy Centre, Toronto, Canada and providing psychotherapy via on-line video conferencing. A few years earlier, Frank had learned to be a yoga instructor in Marie Paulyn’s “Hatha and Raja Yoga Studies”. Afterwards, by integrating his 35 years of experience with Kundalini, Kripalu and Sivananda Yoga, he taught students to coordinate their breath with the continuous flow of postures. These techniques eventually formed the foundation of his emotional tuning program, the “Calming Breath” routine. In 2007, while clawing his way out of a deep depression, Frank Jr. combined several forms of trauma therapy into a practical self-healing protocol he called “emotionaltuning”. Over the next eight years, while attending the annual “Experiential Gathering of Healing Facilitators” in San Miguel De Allende Mexico, he documented his own healing progress and demonstrated the techniques in a series of practical self-help videos. Being unsure that emotional tuning would work for others as well as it had for himself, Frank Jr. initially shared his discovery with only a few colleagues and clients. However, after retiring as a psychotherapist and getting consistent positive feedback on the videos he decided to make them available to the public, free of charge. In recent years this web site has been attracting 60,000 to 70,000 anonymous visitors annually. We assume that many of these visitors are soldiers, police, fire fighters, paramedics and others who either question the effectiveness of talk therapy or whose organizations stigmatize mental illness. To learn how an Iraq war veteran, tsunami survivors and victims of domestic violence were helped with emotional tuning protocols, click here to read a Case Study. To read about other success stories with emotionaltuning, click here to read Testimonials. If you have not yet watched the updated introductory Video 0, click the arrow> in the window below. If you have watched all the videos, please proceed to Other PTSD resources.